Also referred to as INFP, ISFP, IxFP, IFP, or Introverted Feeler personality. Expressive visionaries, kids with an IFP personality type often feel most at home in the arts. They love to understand what makes people tick and enjoy deep one-on-one relationships with others. IFP personality types voice their innermost feelings through their art, but prefer not to share their work product until they feel it’s complete–which should sound familiar to INFP and ISFP adults. They enjoy the learning process and like “meaningful” pursuits that are consistent with deeply held inner values…but don’t like to do things in traditional or routine ways. IFP personality types have a tremendous amount of patience for complex tasks and have a knack for tuning into others’ needs or motivations. These kids are most likely to thrive in a supportive, cooperative one-on-one or small group setting. 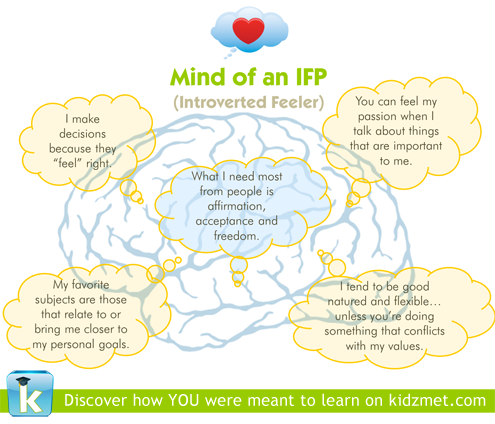 As we so often recommend, definitely take the time to chat with an instructor before enrolling a child with an IFP personality type in an enrichment activity. These children can be extremely sensitive and become defensive or emotional when criticized, but tend to let negative feelings build up inside of them instead of rocking the boat. IFP personality types are dreamers and sometimes don’t have a good handle on time or schedules, so they can irritate some teachers with tardy arrivals, slow pace completing assignments and procrastination. Similarly, teachers you select for this personality type should feel comfortable using a reward (not punishment) system to encourage good behavior from IFP personality types by drawing on their people pleasing nature. Enrichment activities that appeal most to this personality type often include music, art, writing, nature and science classes with a clear human connection. Groups like 4-H and FFA often also appeal to these kids. Because children with an IFP personality type often have trouble following projects through all the way to completion, encouraging them to stick with classes through the session will help them learn the value of finishing what they start. 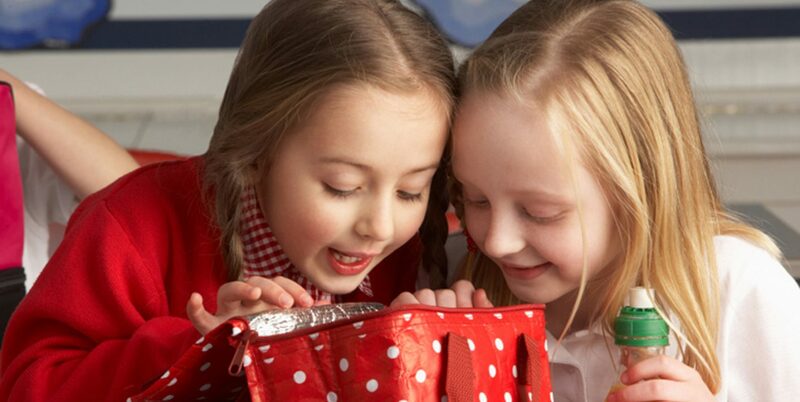 Musical children with an IFP personality type do well studying an instrument for their own enjoyment, without having to perform in front of an audience. (Although they do well learning, and then recording their songs, then giving them as gifts to their families for the birthdays and holidays.) They do not do well performing solos, but are usually fine performing in a group like in a band or orchestra environment. IFPs love to play instruments that can be played independently, without having to rely on other musicians. They love having their instruments in their rooms, so they can go to them and play when they are feeling stressed. This is especially true for Introverted Feelers, who can get stressed, exhausted, and sensitive when they are at school all day. Music is an excellent outlet for those emotions, when done in a safe environment. It is important that they are never, ever, pressured to perform. Parents may mean well, but this can have a particularly negative impact on this personality type.